The Learning Resource Centre (LRC) is well-stocked with Indian and International books and journals covering all areas of management, commerce, etc. 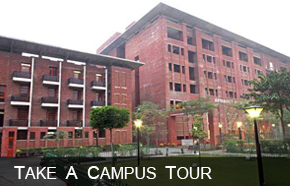 to meet the needs of students, faculty and research scholars from varied areas. The LRC is continuously augmented with the latest books and journals to help the students keep abreast with current and contemporary issues. LRC has 36176 books with 14425 titles and 33793 print and online journals (National and International). JBS has a dedicated division of LRC with more than 5771 books and 2750 titles.